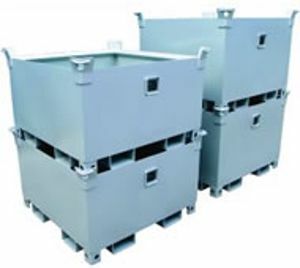 The SSC Bins are heavy load capacity storage bins suitable for all manufacturing and construction sites. 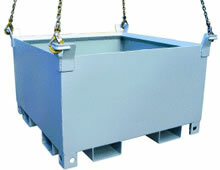 This versatile bin can be moved by Crane, Forklift or Pallet Truck. 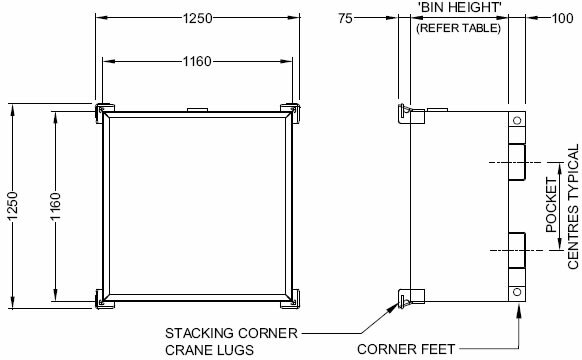 Fitted with 4-Way Forklift pockets and corner crane lifting lugs, these bins can be stacked 4 high. These bins can be emptied by Crane or a Forklift fitted with a Carriage Rotator. Bins have corner drain holes.